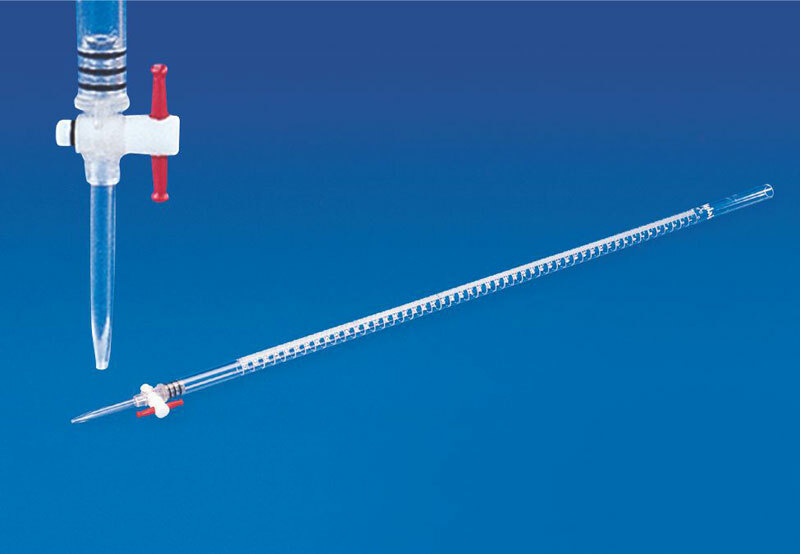 We offer impressive range of Laboratory Burette for our users. This Laboratory Burette has a transparent acrylic body and a leak proof stopcock fitted with a self lubricating PTFE plug. Each Burette is individually calibrated to give maximum accuracy. Acrylic body is unaffected by dilute mineral acids & bases except Hydrofluoric Acid & Ammonium Hydroxide. The pH range of 1-14 is ideal and can be used up to 5 % wt/wt of acids or 30% bases.